If you are not familiar with the term you may be wondering how an inanimate property can be considered ‘deceased’. A deceased estate is a property that, following the passing of its former owner, is put up for open auction. Despite the somewhat unavoidable morbidity of the process, buying a deceased estate can be an exciting fresh start for first-time buyers and a particularly strong investment for those willing to breath new life into a property. First and foremost, the executors of an estate are motivated to sell at market value, they don’t carry the same profit-based incentives as your average seller. Though they are required, by law, to ensure the property goes for a sensible sum. This means the process of the selling is conducted quickly and without fuss, most often at an open auction. Sometimes the selling will be handled by the beneficiaries of a will rather than its executors. Most often it’s the latter, but the involvement of the bereaved can make proceedings less clear-cut. The more fiscally minded inheritor may have taken more time to familiarise themselves with the market but more often they’ll be focused on getting affairs situated, especially if a death is unexpected and a quick sale will be their preferred option. By the time a deceased property gets to auction it may have been bogged down in paperwork and bureaucracy for the better part of a year or more. With deceased estates, it can be a little harder to get all the facts, but the odds are likely to be in your favour. On the morning a deceased estate goes to market, you can be fairly sure it’ll be sold by sundown, and potentially at a bargain price. However, the preconceptions many hold with regards to deceased estates often leads to them being inverted. It isn’t uncommon for those who go in blind expecting a bargain to overbid the competition. Familiarise yourself with my bidding tips from last month and go in level-headed. There are some legal steps involving the ‘grant of probate’, essentially the legal guarantee by which the seller is able to secure the right to sell the house in their own name from the deceased, and in turn, pass the right on to you. Whilst the process of acquiring this probate does vary from state to state, there is little risk to the buyer. Make sure the executor or whomever else is selling the property has the proper probate and, in Queensland and New South Wales, ensure that the name on the title is no longer that of the deceased but is instead that of the seller. Disagreements over inheritance can resurge within families and amongst beneficiaries years after the deceased has passed on, but they won’t affect property sales that have already been completed. Even so I’d say it’s worth it to have a legal specialist ensure the contract is watertight before purchase. Before purchase, as with all property investment, it’s good to have a goal in mind with regards to what you hope to achieve with a deceased estate. A popular impetus for the purchase of deceased estates is for their renovation potential. With most previous owners being in the older age brackets, who may not have resided in the house for a long period towards the end of their life due to extended hospital stays, deceased estates are often in various states of disrepair and poorly modernised. Whilst this helps to bring down the market value it also means that many may require more than just a lick of paint and a bit of elbow grease. First-time property buyers with long-term renovation plans can make great use of these opportunities, especially if you’re planning to live in the property yourself and make the home improvements along the way. Make sure you’re prepared for the undertaking though, you don’t want to be reselling a half-finished property in a less favourable market a few years down the line. Similarly, those who plan on doing a quick flip should know if the property only needs a quick facelift or some deeper reconstruction. Despite all this potential, I’m sure there’s’ still something niggling in the back of your head. Stigma. What about the stigma attached? Do people want to buy, let alone live in, the former property of someone who’s six feet under? 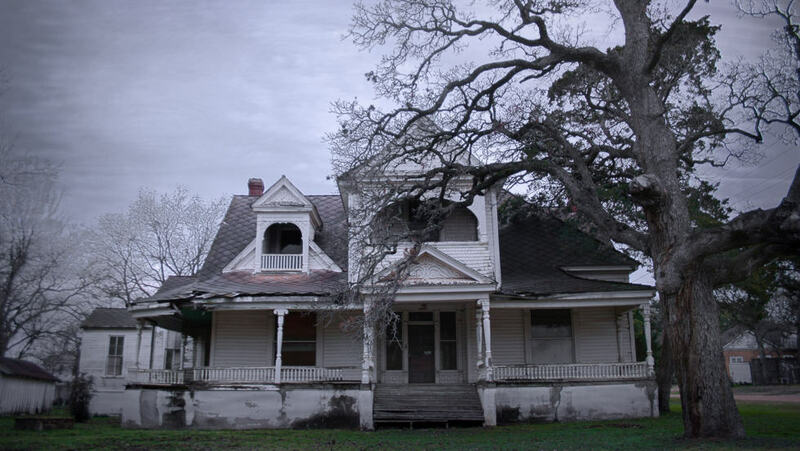 It may be an interesting probing point into psychology and superstition but it’s not a particularly pertinent one when investing in this type of property. A deceased estate earns its name only in being the former property of the deceased, sent to auction by the executors of said deceased’s will. They do not have to have died in the house, and in fact, it’s very unlikely they did. Though it’s a somewhat grisly thing to point out, you may find comfort in the fact that only around 10% of Australians die at home, with most natural deaths occurring in hospital. Furthermore, the law surrounding whether real estate agents need to disclose to potential buyers whether someone has died in the property are, contrary to popular belief, hazy at best. If someone has died in a house, this particular nugget of information is not usually disclosed unless it is in response to a specific query from the buyer. Whilst it’s true that a death on a property can put off some people, it’s not a factor you should consider with much weight. Grim though the circumstances may be of deceased estates, they are not without great potential for first-time property investors and seasoned expanders alike. Finding potential deceased estates to invest in is also relatively straightforward. Public trustees often provide listings of deceased estates at the local level, and there are even specialised websites devoted to finding auctions. If you’re interested in deceased estates, take my tips to heart and perhaps you’ll find embers amongst the ashes. If you would like to talk more about the different types of properties available on the market, let’s connect.